The May long weekend is the traditional kick-off to cottage season. But long before the snow melted this spring, equity-rich baby boomers from the city had been turning up the heat on resort-area real estate. Agents in Muskoka and Haliburton say most of the action is down to a new breed of older buyer — 50-somethings, cashing out and driving up north to retire or telecommute. Many maintain a condo in the GTA or they go south in the winter. Toronto's runaway real estate market, which has only recently started to cool, is still radiating heat into cottage country, according to Port Carling Chestnut Park agent Mike Taylor, president of the Lakelands Association of Realtors, which represents 680 realtors in Muskoka, Haliburton and Orillia. Its latest statistics show waterfront property sales up 5.1 per cent this year to date, compared to 2016. The value of that property, however, surged 51.4 per cent year over year in April to $118.1 million. The median price of $485,000 was up 30.4 per cent from last April. "We haven't seen a slowdown like the Toronto market has over the last month as yet but it may be filtering our way. As the end of May comes and we are getting more listings put on the market for waterfront, it will be interesting to see how that all plays out," said Taylor. But many cottages never hit the Multiple Listings Service (MLS) that provides real estate association data. A lot of agents find a buyer and seller before the property even goes on the market, said Port Carling-based broker Bob Clarke. He says the inventory of listings is at historic lows — down about 30 per cent from 2015 levels. Prices, however, are up about 26 per cent on the small lakes and about 41 per cent on the big three lakes, Muskoka, Joseph and Rosseau. Typically, Muskoka doesn't see a lot of bidding wars and vacation homes can sometimes take up to two years to sell. But Clarke says competitive offers have been popping up since the fall and many properties are selling in a day and it isn't even high season. "We're putting places out there and getting 30 showings in a day and a half," said the president of Royal Lepage Lakes of Muskoka -Clarke Muskoka Realty. The trouble is, he said, this is supposed to be the slow season. Usually only 12 per cent of the company's transactions occur in the first four months of the year. In Bracebridge and Gravenhurst, entry-level homes in the $229,000 to $279,000 bracket are selling for $30,000 or $40,000 over asking, he said. "Torontonians have hit the Lotto Max jackpot and they come up here and say, 'Who cares? What's $299,000 instead of $279,000?'" said Clarke. Ninety minutes east, Troy Austen, with Team Haliburton Highlands ReMax, says one of his clients put it best. He said he felt like he won the lottery, said Austen. "I just sold my house for $1 million. I can make the same money with what I do in Haliburton and I bought a 50-acre farm — no mortgage — and money in the bank." Austen usually spends his winters traveling. He's been all over the world because once the snow flies, the cottage market typically shuts down. This year it never stopped. Real estate left over after the summer continued to sell and buyers were on the prowl even after the lakes froze. "It's my 22nd year (in the business) and I've never seen it this busy in the winter," he said. It's not just housing trends and demographics. Austen says the Internet has finally put Haliburton on the map for its relative affordability and proximity to the city. "The taxes are way less, the prices are way less and, coming out of the GTA, we're anywhere from two hours to 2 hours and 45 minutes from downtown," he said. Although less expensive cottages always sell faster, "every price range right now is hot and active up to $1.5 million in Haliburton County," said Austen. Buyers, he said, are looking for a dream home. "Everybody's looking for a 400-ft. frontage lot or teardown,” said Austen. "All of the contractors are booked a year and two years out. It's good for the economy." The same quest is taking a toll on the traditional fabric of Muskoka, says Hugh Nichols, a Re/Max North Country agent in Gravenhurst. He says that cottaging has become more sophisticated. "I don't think it's so much an escape where you went up to the cabin and your mom didn't yell at you when you left your wet bathing suit on the floor. Now they've got them finished with granite countertops and drywall and, carpeting or hardwood floors throughout. Your mom would die if you left your bathing suit on the floor now," he said. 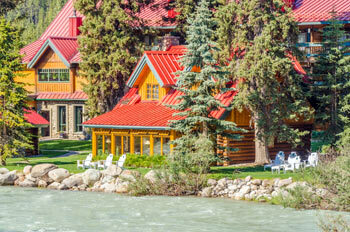 "The demand is for three-season (cottages) where 10 years ago people were happy with a seasonal cottage. We have investors and contractors who are buying them to improve them or re-build to flip or, we've got investors who are buying to rent," said Nichols, who admits entry-level cottages for young families are limited. "It is possible, but that's not our major market. I'd like to see that again. I don't see a lot of 40-and-unders buying," he said. Last week, Nichols said, there were only seven waterfront properties listed under $500,000. The lowest was a cabin for $179,000 on a narrow bend of river. It might suit a kayaker but you couldn't water ski there. On the big three lakes there were 51 properties listed with an average price of $3 million. "Privacy is still the key factor when it comes to price. Up here, the definition of privacy is when you can stand on your front deck naked and nobody can see you. You need 200 feet of waterfront to do that . . . the younger people know they'll have to pay to get a smaller waterfront where you can see the neighbour," he said. A boathouse requires similar water frontage. There's not much call for the rustic cottages of a generation or two back, says Clarke, who is also a builder. "Places I'm building now have 20-seat theatres; we have walls of glass that open to the outside; gas and wood fire pits; butler's pantries. And those are the ones that are $10 million-plus and they're often the least used," he said. Custom builds are so popular, Clarke said, "We are very quickly reaching the point where we do not have vacant lots on Rousseau, Muskoka and Joseph. They're basically (as scarce as) hen's teeth."